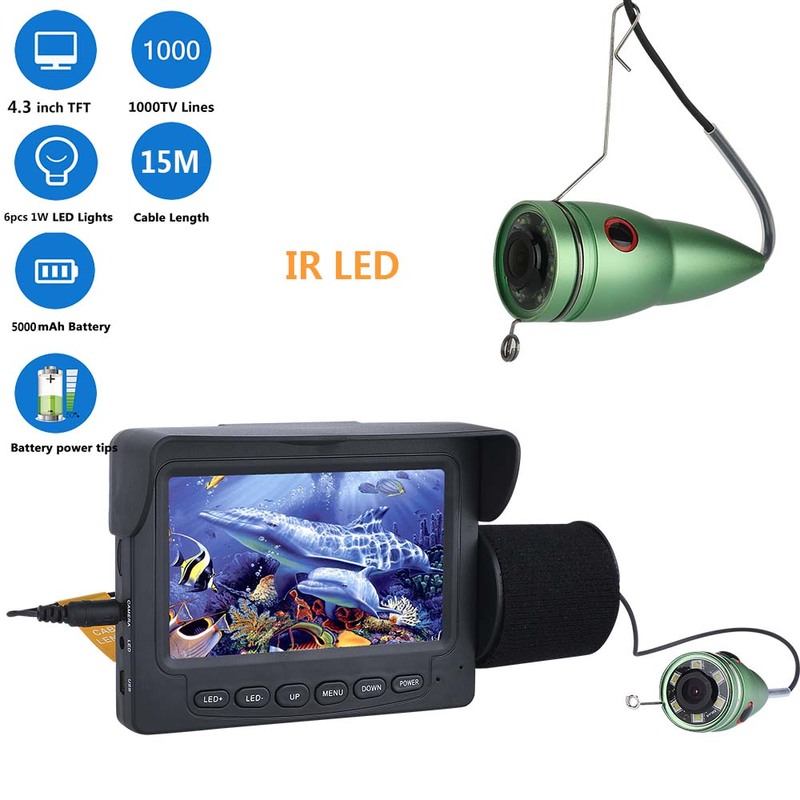 Successfully Added 4.3 Inches 1 x 6 Infrared Night Vision Lamp Finder 15 Meters Underwater Fishing Video Monitor to your Shopping Cart. This product you are watching now is the latest popular, fashional, good looking and convenient Underwater Video Camera System. It not only has and color screen, but also has a height definition camera which has HD 1000 TV lines. What's more, there are 6 high-power white lights for camera light source, and these 6 white lights are separated from camera to prevent the water spray coming into the camera. 7. The continuous using time of the battery is up to 4 hours,Battery status.